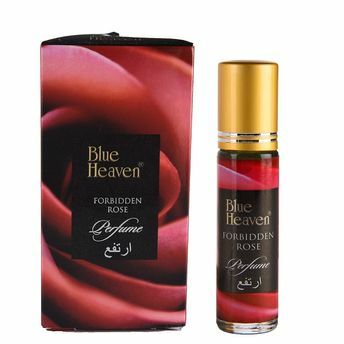 The Blue Heaven Forbidden Rose Roll On Perfume Ithar has a rich, pleasant fragrance and is best used during aroma-therapies. This is obtained through the hydro distillation method from the petals of freshly picked rose. Rose ithar is gentle enough to be applied on bare skin, moreover it has the ability to calm the spirit and set the tone for a mindful meditation when applied to the body and chakras. Refreshes and soothes your senses. Available in 10 fresh aromatic fragrances. Additional Information: Blue Heaven Cosmetics is a premium makeup brand in India that offers quality cosmetics at affordable rates. Started in 1974, the brand is already a leader in the mass segment standing its ground with their constant innovative, trendy and affordable makeup and personal care products.